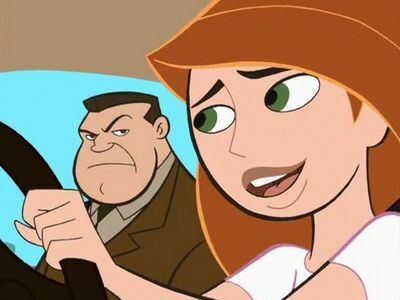 Disney's smash hit Kim Possible (voiced by Christy Carlson Romano) is all about a high school teen, balancing the cheerleading captain position, honor roll, and many more, including saving the world from villains. Of course, all heroes need a wisecracking, clumsy partner. "KP" is no exception. The comic relief of the heroic duo, Ron (Will Friedle) is always there for Kim. 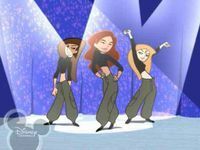 Call Me, Beep Me, If you wanna reach me. 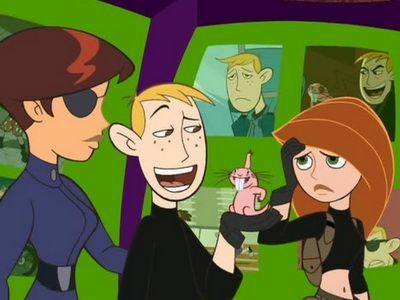 Character Guide: Kim Possible - The main character of the show. She's a teen action hero. Cheerleader by day, crime-fighter by night. She's very quick-witted and uses various gadgets to defeat her enemies. 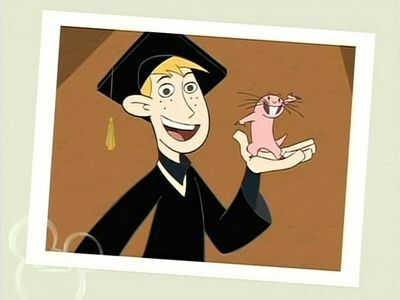 Ron Stoppable - Kim's best friend, partner and in third season boyfriend. He's always there for Kim, but sometimes, he causes more harm than help. Dr. Drakken- Kim's main arch-foe. Although he's the one who wants to take over the world, he's not very bright. It's his beautiful, yet dangerous, sidekick, Shego, whom Kim should really be afraid of. On their trip to Go City, Ron and Kim come across a villain named Aviarius who is seeking the power of another hero. However, when Kim inadvertently winds up with the a hero named Hego’s powers, she soon learns that the only way to restore what isn’t hers and to help stop a mad man may be to team up with her deadliest foe; Shego. Kim ruins her clothes during a mission, and now must buy from Smarty Mart. Meanwhile, budget conscious villain Frugal Lucre attempts to take over the internet. 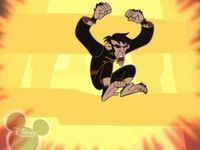 When Kim and Ron once again head out to stop Lord Monkey Fist, Kim manages to retrieve the amulet that he stole. 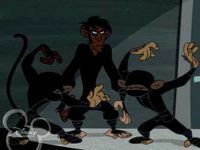 However, when the mystical monkey amulet begins to turn Kim into a monkey, on picture day, she must try to stop Lord Monkey Fist’s attempts to steal the amulet back while not being seen by people. 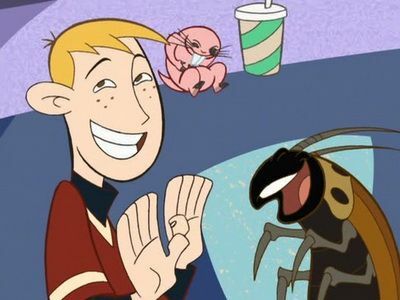 However, Ron inadvertently believes a monkey he found is Kim and he struggles with his emotions over having his best friend become one of his worst fears. When Dr. Drakken is ordered by his mother to look after his cousin which turns out to be Motor Ed, Drakken and Motor Ed work together to complete a “Doomvee”, which is a Humvee that is full of superior weaponry. Meanwhile, Kim is feeling alone because Ron is spending the weekend with Felix instead of her, which causes her to become desperate because she needs some social interaction. 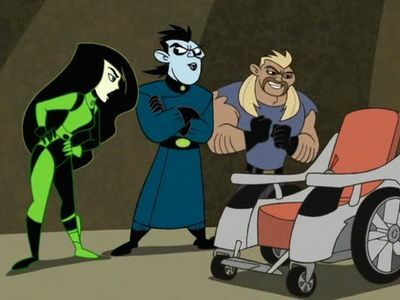 Kim attempts to hang out with Ron and Felix despite the fact that she hates doing whatever they do, but when Dr. Drakken and Motor Ed steal Felix’s wheelchair, they work together to see if they can retrieve his wheelchair back and put an end to their evil plan. 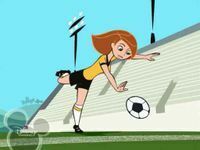 Kim reluctantly takes on the coaching of Jim and Tim's soccer team, and is quickly overcome with competitive spirit. At the same time, Señor Senior, Sr. has similar issues coaching his son through his first "evil scheme." Kim tries to defend her position of head of the cheer squad while she works with a high-strung agent of Global Justice. While Kim and Ron are at the Museum, she discovers that one of her ancestors was a thief and she decides to figure out what really happened in order to clear her family’s name. 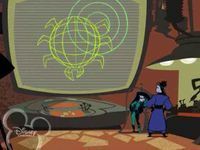 However, after a bunch of bizarre coincidences connects the events on that day with that of Wade and Dr. Drakken’s ancestors as well, she soon believes she may be close to figuring out what exactly happened to cause her ancestor to get framed, though Ron keeps feeling that something about their predicament just doesn’t feel right. 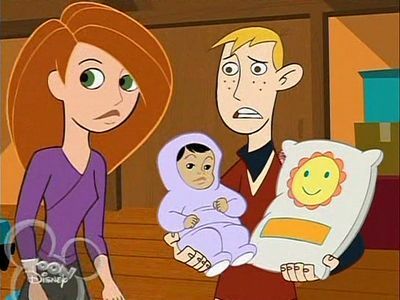 Ron comes home to unexpectedly find his new adopted baby sister named Hana Stoppable in his room. At the same time, he has to take care of a sack of flour for health class. Meanwhile, Kim and Ron team up with Yori to stop Monkey Fist yet again. Kim and Ron are taking Drivers Ed, which most of the students are nervous but Kim remains confident that she’ll do a good job. However, when she chokes up and fails the initial test, she soon learns that the pressure of the test is far greater than any foe she has fought. 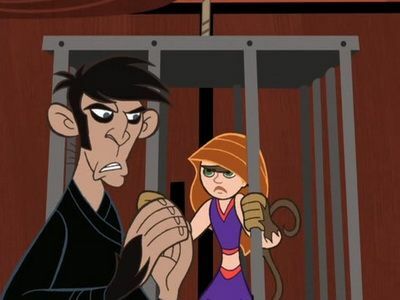 Meanwhile, Dr. Drakken has kidnapped a scientist who specializes in artificial intelligence, Kim gets a visit from an unexpected guest that may be able to help her out. When Kim is sprayed with some pollen that causes her to vanish more and more each time she blushes, she must stay at home while Ron and Wade work together to find the cure. 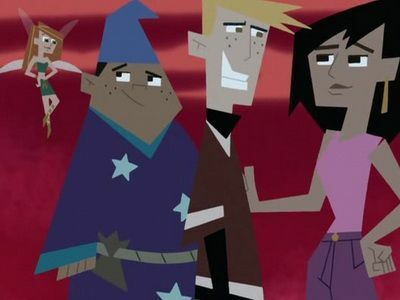 However, when Josh Mankey asks Kim on a date, she risks her life to go out with him; though Drakken and Shego take notice of her foolishness and exploit the opportunity to make it one of the most embarrassing nights of her life. 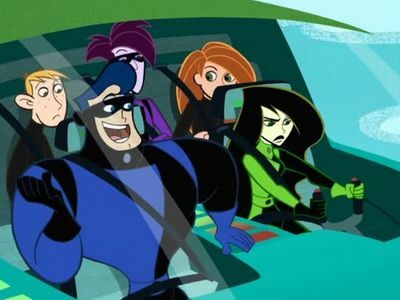 When Shego begins acting very friendly towards Kim and Ron, they investigate and find a comic-book type villain who is trying to conquer Go City with the help of the rest of Team Go. Ron decides to join the cheer squad, which angers Kim. Meanwhile, the country's top scientists begin to disappear, and Kim's dad appears to be the next target. 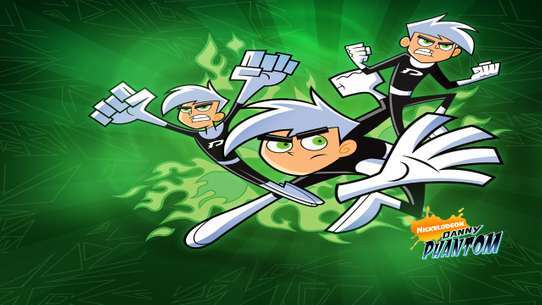 Kim takes on a mission, but she must take the Tweebs along since she promised she would baby-sit them, while Drakken begins a scheme with mind control. 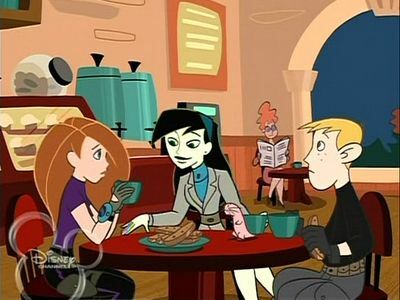 Kim's mission look is stolen when she tries to stop Drakken, and now the entire world looks like her. 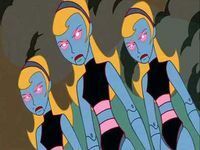 This inspires Drakken's next plot that involves clones after Shego quits. When Animology sweeps over the school, Kim tries to avoid it, but she gives into the fad. Meanwhile, the Seniors start their most dangerous plot to date. When Dr. Director at Global Justice decides that it's the "Ron-ness" that's Kim's secret to success, Ron goes under the microscope. Unfortunately, this means being stolen by the lackey-intolerant Gemini, Dr. Director's older twin. 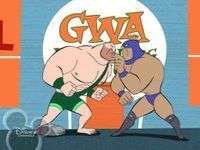 Global Justice, Kim, and Rufus take on Gemini's fist of fury (and Pepe the neurotic Chihuahua) to recover the Ron Factor. High school graduation nears for the senior class, but Warmonga's return jeopardizes everything as Team Possible goes through their toughest odds yet to save the planet. When a recent string of museum thefts appear to be tied to Ron’s favorite wrestling stars, Kim and Ron must work together in hopes of figuring out the truth and to put an end to the thefts. 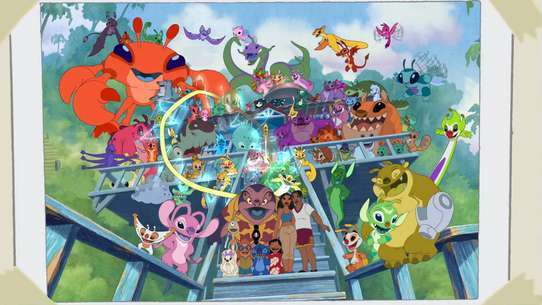 Moms Possible and Lipsky share a day in the life of their kids as both are dragged into the Kim-Drakken (aka Drew Lipsky) conflict on their special holiday. When Kim is tardy when going to class, she is sentenced to detention. 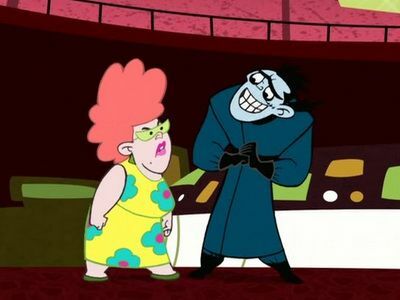 Meanwhile, Drakken and Shego start their next evil plan. Ron is sucked into the cyber game world of Everlot as he attempts to impress Zita. The whole gang duels Malcolm the Wraithmaster LotR-style, with a little help from a not-so-naked Tunnel Lord. Kim is forced by her dad to join a club for small children that he leads, much to her dismay. Meanwhile, Monkey Fist plans to steal a very special monkey to fulfill a prophecy. Kim and Ron visit a strange man by the name of Lord Monty Fiske, however, they soon realize that there is more to him. Meanwhile, Kim's geeky cousin comes to Middleton. 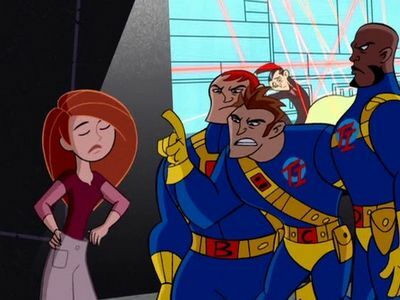 When Team Impossible demands that Kim cease her duties as a teen hero, Kim is caught between a choice to live a normal life or continue to help save people. However, even should she decide to keep saving the world on a regular basis, can she outmatch three of the highest paid heroes in the world who have everything at their disposal, even their own theme song? 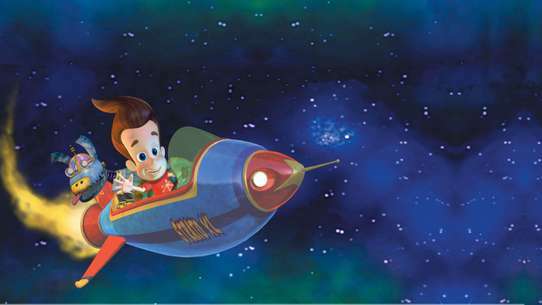 Chester Yapsby has stolen a top-secret project that is capable of making insects grow to incredible heights. Kim is contacted for the assignment because she never fails to get a job done, though when it turns out that the giant cockroaches bother Kim as she has a personal fear of insects. Ron must help her overcome her fear in order to save the day. Meanwhile, Ron names one of the cockroaches Roachie and decides to keep it as a pet, much to Kim’s chagrin.